Hypnagog gives us a sweet little EP featuring four tracks of glitched out something or other that I can’t quite classify, but believe me – it scratches the techno itch like you wouldn’t believe. The first track, Still Dreaming, will have you bouncing all over the place with its sine-y synth work and dBlue style glitchy drums, followed by Funkdiddle, a house track with a soul that delivers funk straight into your brain. Track three, Tiny Little Pieces goes into a speculation on what its all about with a nice and airy, relaxing tune. I love Hypnagogs use of sinewaves, jumpy but calming at the same time. Track four, Reflections No. 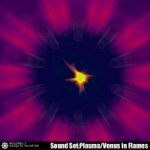 2, starts out as a cinematic, orchestral audio experience that slowly introduces a great bassline and those awesome sinewaves again and almost giving off an 80’s industrial pop vibe. This EP is a great release for starting off the new year, check it out. 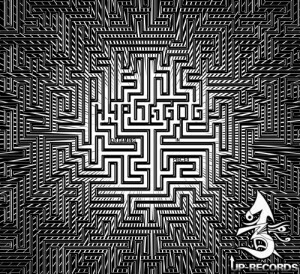 Hypnagog – Dreaming In Pieces EP. Two tracks totalling 13:29. 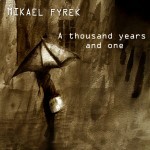 The ep is a nice, rolling maneuver of gentle bass with continuous, droning synth lines. Caffeinated house music that gets you popping. 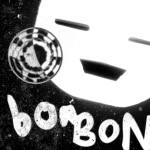 This ‘jewel’ of an EP features a funky and upbeat set of six tracks. The first three tracks move you with staccato melodies that mix together to form a grandiose result of sound. At track four, it mellows out into a beautiful mesh of popping, clicking, almost glitch like rhythmic air. Track five picks the pace back up with a sort of electro / distorted guitar sound, but without disturbing the overall ambience of the entire work. The EP finishes up with a dark, mysterious track named Kyanite, a sweet house tune that goes all over the map and has an almost cinematic quality to it. This is a definite fave for the year, don’t miss it. 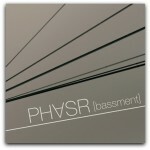 Phvsr offers us four tracks of well produced house music. Clocking in at just under half an hour, this release does what house music should do – get you moving. Good synth work, big fat square basses and grooving drum patterns all fit together snugly. I’m a big fan of beat drop outs and drop ins and syncopated basslines, and Phvsr definitely delivers with this release. A house ep that doesn’t disappoint. Clocking in at just under thirty minutes, this is a release that pushes all the right buttons, and scratches that techno itch in just the right spot. Track number five has got to be my favorite techno track so far this year, if for no other reason than the wobbly synth that goes crazy at about 3:40, jumping back out of the way just in time for the relentless beat to come back in. 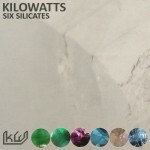 Kovacs brings six tracks of odd, dark pseudo-jazz / downtempo. Beginning with Trip to Nomoreland, we are introduced to the EP with a sort of dream-like flight instruction mixed with some Sputnik transmission type noises. This all quickly gives way to a mellow tune that reminds me of Revolution Void. Next up is the slow mover Torespont, a droning cello with jazz drums, a moaning sax, and other assorted orchestral instruments to form an audio canvas so dark you’ll need a flashlight to find your way to the next track – Jazz.zene. I’m still trying to place the accent in the opening sample. Faster paced and more lively, the rest of the EP delivers a strange, dark message, one that we are all aware of but don’t really want to think about. The last track lightens up just a bit, waltzing by in two and a half minutes. 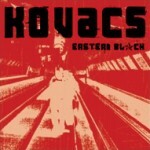 This is a great release, big thanks to Kovacs for bringing his music to the world.